Hot vans are exceptionally easy to love. While performance SUVs often have a hard time justifying their existence, Transits fettled by M-Sport or VW Caddys that pull like Golf GTDs are celebrated as working class heroes. Stick a set of stripes and white wheels on a compact van and you’ll see plenty of jars raised in admiration as you roll past the local pub. Do the same in a dressed-up 4x4 and there’s more chance of lager hitting your windscreen. Was the Mini Van the first original performance commercial vehicle? No, almost certainly not, but the way this classic load-lugger was seen as a fun but capable workhorse suggests it might have provided an appetite for the breed. 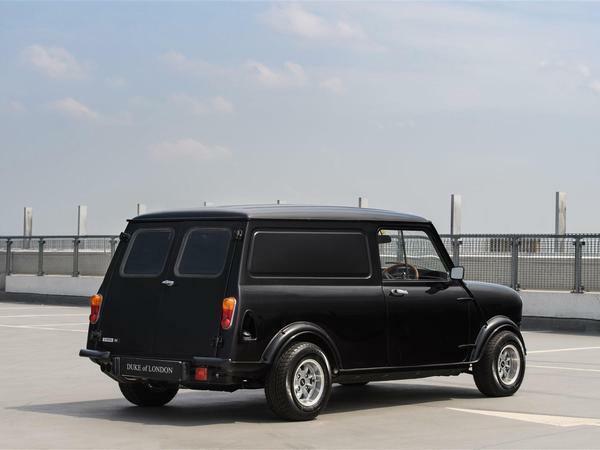 Here we had an extended, big-booted version of the Austin Mini, which acted as a low-cost steed for the working man that was more modern and better built than the Morris van. And it was a hoot to hammer down country lanes in. It looked good, too. 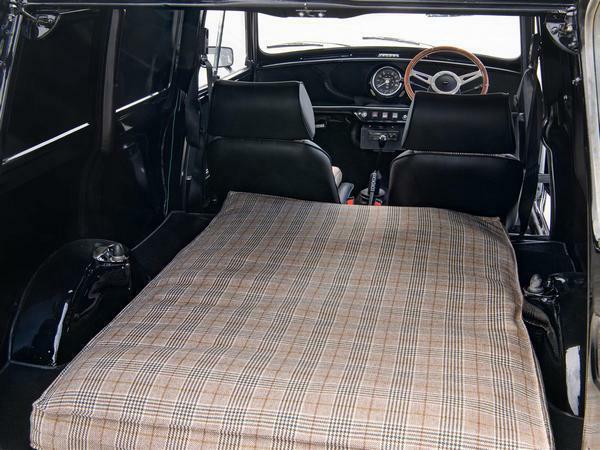 At the van’s launch in 1960, the Mini was already at the height of fashion, so naturally the van became a fashionable commercial choice. Its working status also meant it didn’t require vehicle tax, which might have helped push sales up and beyond the half a million mark during the Mini Van’s production life, which ran all the way up to 1983. 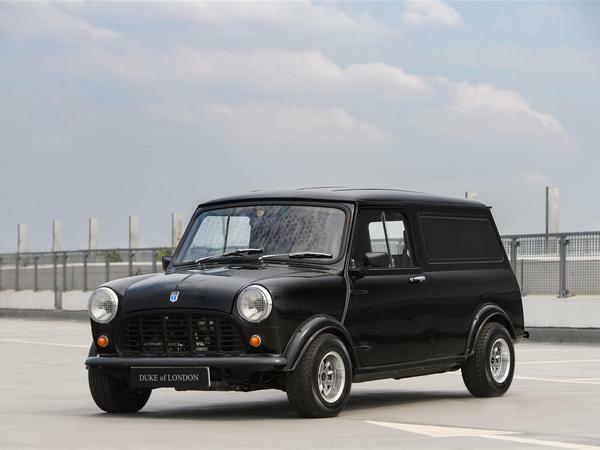 Yet the love for the old Mini Van continues; so much so that we doubt Sir Alec Issigonis himself could have imagined the humble van would be so adored today. Take today’s Spotted, which shows exactly how strong the passion for the commercial model remains, because the previous owner has spent almost £45k on enhancing and modifying it. And while the bill might make you wince, we reckon the finished product is utterly brilliant – and, thankfully for its next custodian, on sale for a fraction of that project figure. The work done is second to none. 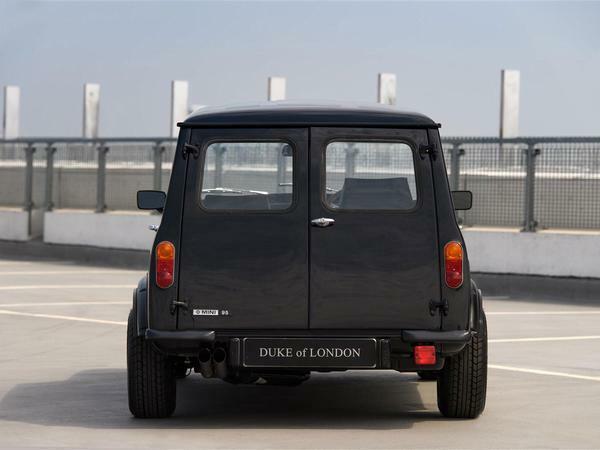 For starters, the original 1.0-litre engine has been swapped for a bored-out 1,275cc motor, with a new capacity of 1,380cc. 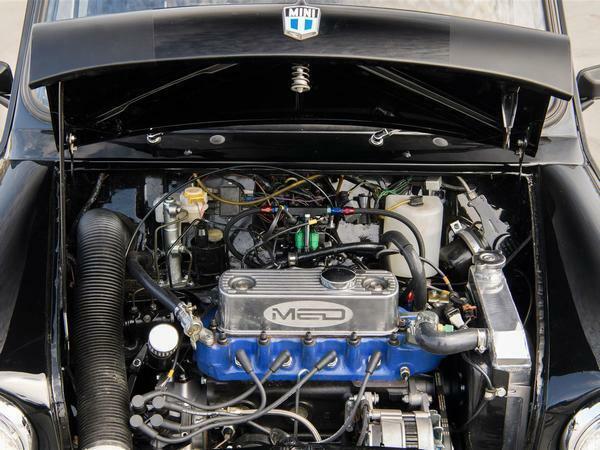 As part of the motor’s upgrades, a higher performance cam shaft, five-port head and fuel injection system have been fitted. Plus the engine’s now mated to a fully rebuilt, straight cut gearbox, which might make low-speed operation a nightmare but who cares when it makes a whining sound like Paddy Hopkirk’s Monte winner. There’s more, too. Drive through the front axle is handled by a Quaife LSD, while braking is done with four-pot calipers up front and uprated MiniFin drums at the back, with uprated lines and lots more race-spec parts in between. The result is a Mini Van with a Cooper S-beating mechanical setup. The exterior and interior has, of course, been suitably enhanced to match, with deep dish Minilite wheels and an all-black body, and Cobra Club sport seats with tartan fabric inside. In the back, there’s a, erm, mattress. Supposedly it’s for the dog. I'm struggling to see where 45k has gone on that tbh, as much as i like it. Does seem rather a lot. Its sort of ok now, but I remember my dad pondering getting my mum one when we were kids and it to us then was almost as tragic as my mates dads VW Camper in toxic sludge green, which is now apparently cool, cant see that myself but can sort of see with this. Really love these things, always wanted one. But they have always felt to cost a bit much for what you get. There’s something very cool about a minivan. Even the recent one was a desirable thing, not seen many around though.